This movie looks like it's going to be another Thor The Dark World. Hard pass. 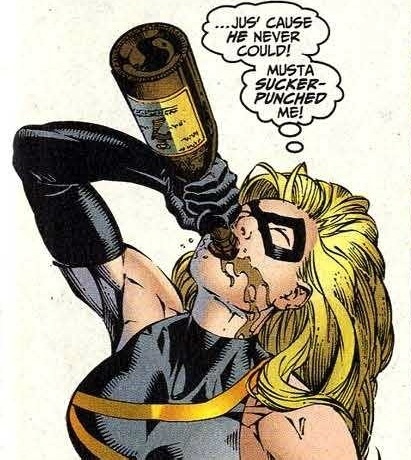 Guys... Captain Marvel was never top tier character. There’s not a single five star plus run in the entire history of that character so look at this as a potential Iron-Man situation in a way that movie might become the ultimate portrayal and basis for years of paper material. And don’t be bothered with comic book tropes, after all they’re called ‘tropes’, for a reason. Doesn’t mean the actors have their hands tied to a singular way of performing their respective roles. More often than not, archetypes are actually characters that ultimately stand out. I don't know what offends me more: the fact that you said that Captain Marvel never had defining comic boook stories or that Iron Man did not have defining stories. 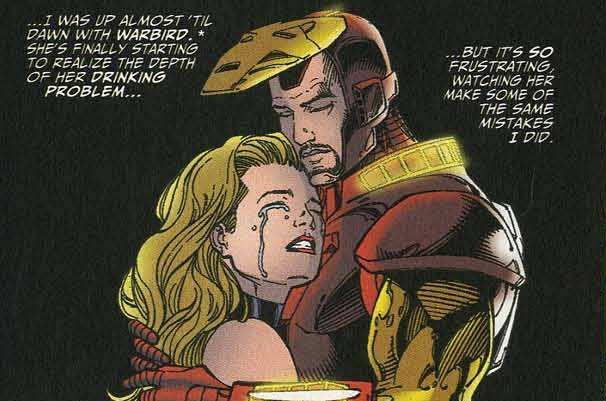 I'd argue that when she became Warbird, Carol became a highly complex and interesting character. Much more interesting than the goodie two shoes character current Marvel comics and MCU are selling. 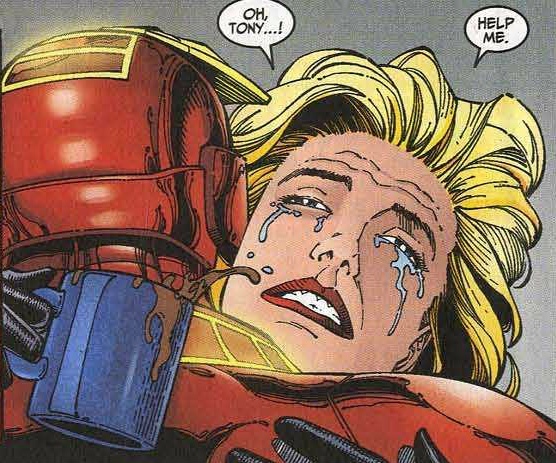 In Kurt Busiek's runs with her character, she was a struggling alcoholic with anger management issues.Tony Stark was trying to help her, since he knows what it's like from personal experience, but she rejected his help multiple times until it did not became too hard for her. And Iron Man had great runs throughout his history. Heck, right when the first movie was coming out, Iron Man had one of his better comic book runs with Iron Man Director of Shield, by Charlie and Daniel Knauf, which also had one of the coolest versions of the Mandarin. That run was also infamously butchered in Iron Man 3, which supposedly was based on that run. Character defining and quality stories? Absolutely, I'm with you there. Comic book defining stories? Not really. There's a reason Cap Marvel's been rebooted for the n-th time this year, in the wake of this movie adaptation. They're still course correcting her origin story, there's plenty of time to create a compelling book in the vein of her well known brothers and sisters. Remember how hard they pushed her narrative in Civil War 2? Yeah, me neither. Hopefully this movie will launch her into stratosphere, figurative. And inspire more creators to tackle her in their books and, over the years, create a consistent, quality base of narrative operation. 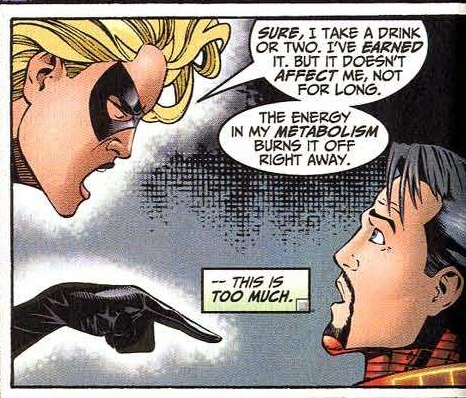 I'm talking about Carol Danvers as a character. What you're referring to is her mantle as Captain Marvel, which happened very recently. She got relaunched multiple times after she became Captain Marvel. The stories I'm referring to happened before. The social media embargo for Captain Marvel lifts on Tuesday, February 19th at 9:30pm PST, before the review embargo lifts on Tuesday, March 5th at 6:00am PST. How does it compare to other MCU embargoes? Feb 19th is going to be all hype/they did it again/best so far etc. It's a wise decision, though. In the tweets you can't really be too critical in your reception. You can basically say whether you like it or not and I doubt that people won't at least like another Marvel film. They're all "likable" so this should produce some hype, even if the movie is another mediocre outing as the trailers would suggest. Considering the shape-shifting nature of the Skrulls, big spoilers are also very likely. Larson has apparently received 5M for her role in this. For comparison Bob Downey got 500k, Hems 150k and Boseman 2M for their first lead role appearances. She plays a lot of her career here, Kong didn't make her a star, and she still has to complete the jump from independent films to big blockbusters. Although about everybody made the jump successfully in the MCU, so no reason to worry. You also need to take inflation into account. When RDJ got the role it was 2007 so basically over 10 years ago. Also RDJ was still an outcast in Hollywood before Iron Man. Hemsworth was a nobody. Boseman and Evans were established and kind of popular actors before getting the roles but like demoph said, neither of them has won an Oscar. Still, it's good to see a female actor getting payed a lot for once... And I think she got the most any actor should get for a role in today's Hollywood landscape. Giving any more to anyone is just unnecessary spending and it often balloons the budget of the movie. The CGI artists are already grossly underpaid and movies still cost way too much to become profitable and it's because the actors are often overpaid. Most films would make equal business nowadays had they signed a different, less popular lead. People nowadays go to see IPs, not big names. Insecure white men are at it again.